Austin, Texas—February 27, 2015—The University of St. Augustine for Health Sciences announced that Dr. Manuel A. (Tony) Domenech will direct the Doctor of Physical Therapy program on the Austin campus. 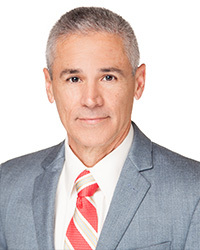 Dr. Domenech is an experienced physical therapist with nearly 40 years of clinical and instructional experience and a retired lieutenant colonel in the U.S. Air Force. Most recently, he has lectured at the Texas Physical Therapy Association Faculty Summit, United States Air Force Advance PT Symposium and the Texas Consortium for Physical Therapy Clinical Education Combined Clinical Educators Workshop. Prior to joining the University of St. Augustine, Dr. Domenech was first an associate professor/assistant program director of the Doctor of Physical Therapy program and then regional dean of the School of Allied Health Sciences at Texas Tech University. He has also served as physical medicine flight commander over the physical therapy, occupational therapy, and orthotic elements at Travis Air Force Base in California; as chief of physical therapy element and assistant chairman of the Physical Therapy Department at Lackland Air Force Base in Texas; and as an assistant professor/academic clinical coordinator for education for the U.S. Army-Baylor University. Dr. Domenech received his Doctor of Physical Therapy from the MGH Institute of Health Professions, a Doctor of Education from Oklahoma State University, a Master of Science in Advanced Physical Therapy from the Medical College of Virginia (now Virginia Commonwealth University) and a Bachelor of Science in Physical Therapy from the University of Kansas. His doctoral dissertation explored the compliance level of patients in a weight reduction program. In addition, he has received a professional military education. He graduated from Air War College in 1998 and Air Universities Air Command and Staff College Associate Seminar Program in 1993. Dr. Domenech is an American Board of Physical Therapy Specialties (ABPTS) certified physical therapy orthopedic clinical specialist and an American Academy of Orthopaedic Manual Physical Therapists Fellow. The University of St. Augustine for Health Sciences (USA) is a graduate institution that emphasizes health science education through innovative quality classroom and distance education. Founded in 1979, USA has locations in San Marcos, California; St. Augustine, Florida; and Austin, Texas. USA offers degree programs in physical therapy, occupational therapy, athletic training, education, health science as well as residency, fellowship and continuing education programs. It is a member of Laureate International Universities, a network of more than 80 institutions in 29 countries and one of the most significant global higher education providers for health sciences. For more information, visit www.usa.edu.